It’s tradition on this blog feature on the Friday after Thanksgiving we highlight new Christmas releases. Tonight we have some interesting 2018 recordings. We begin with 30-year old British singer-songwriter Jessie J and a track from her first Christmas album. The album is “This Christmas Day.” Here Jessie J is backed by Boyz II Men. In 1964 R & B legend Marvin Gaye recorded a true forgotten Christmas oldie. Reviving it this year is one of the most popular artists today in his very first Christmas album. Some of the best Christmas music is that old fashioned kind. Hard to believe but English pop singer Engelbert Humperdinck is 82 years old. He does a really nice job on a few of those Christmas chestnuts. Here’s another performer with his first Christmas album. Eric Clapton’s blues-rock version of the most famous Christmas song of all-time is nothing like Irving Berlin imagined. Our next selection is new, but not really. And then it disappeared, unless Ebay came to the rescue. Now Motown has issued a compilation that includes the Hallmark tracks along with Ross’ other Christmas album. Both of Ross’ solo Christmas albums came out in 1994. The CD’s sole original tune was written by Diana’s friend and pastor Wintley Phipps… this one is about the spirit of Christmas… it is a lush ballad with delicate strings as Diana croons the verses, and it erupts into a passionate, memorable chorus that pushes Diana to the upper end of her range. Diana sounds great on the tune; she injects a lot of feeling into the lyrics, caressing certain words and quietly resting on others; she shows a lot of restraint on those verses, allowing the big refrain to take center stage. At 2:32 in, as the song climbs up a key and Diana and the robust choir repeat the chorus for a final time, the entire thing almost sounds like it was lifted from a big Broadway musical; that is the enormous scope reached by this production. “It’s Christmas Time” may not sound like a new seasonal classic in the way that something like Mariah Carey’s “All I Want For Christmas Is You” (released the same year), but it is far, far stronger than many singles released by popular artists around the holidays each year. It’s unfortunately this track wasn’t included on Diana’s A Very Special Season or on another collection that could have gained it more listeners; it deserves to be heard and frequently played during the holidays. How about one more legend. 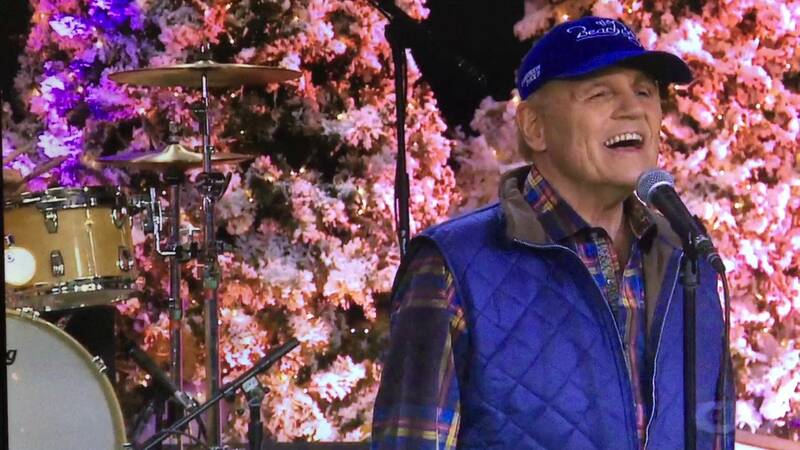 The Beach Boys’ lead singer Mike Love has a new collection of holiday songs that includes his remake of a 1964 Beach Boys hit. That is not a picture of Eric Clapton with black ladies, it is Englebert Humperdink.